I've been using Smart Converter Pro 2 for my mac and it's been great so far. It's fast and easy to use. 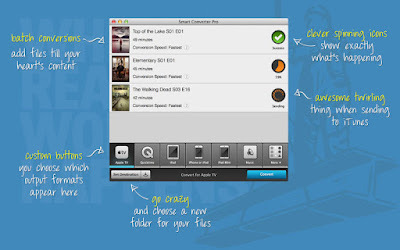 You can convert any of your videos/movies to any format just like that. You can watch the video tutorial to learn more. The fastest video converter on the App Store with movie and TV show metadata, subtitles, folder monitoring and batch conversions. Smart Converter Pro 2 has it all. 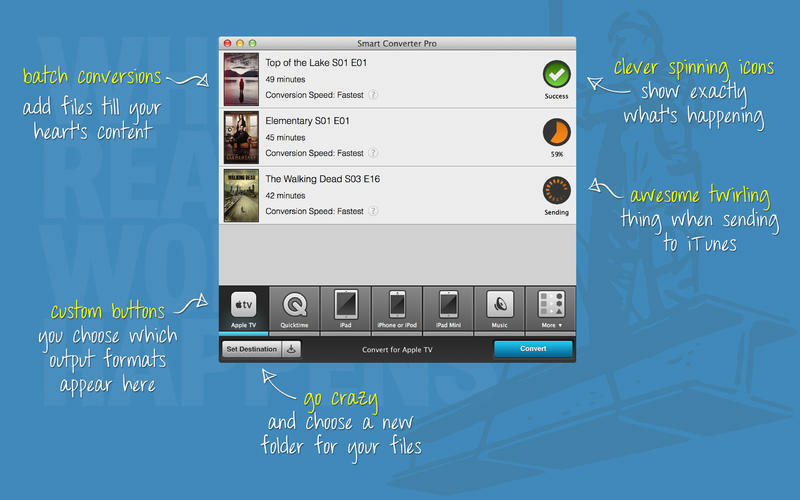 It’s so easy to use - just drag your video or audio files onto Smart Converter Pro, select an output preset and convert. Smart Converter Pro analyses your files and only converts the bits that need to be converted. This means less waiting and top quality conversions. * Subtitles - include subtitles, add external subtitles and even load subtitles from the web!